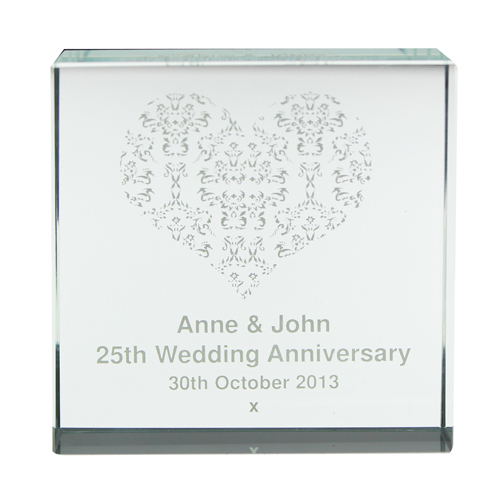 Personalise this White Damask Heart Large Crystal Block with any message over 4 lines up to 25 characters per line. Please note Line 1 and 2 are in Bold. Personalise with any message over 4 lines up to 25 characters per line.